Yesterday we brought you some of our favorite hits from the last year, but now we’re getting down to the nitty gritty. Time to test ourselves against the best, and see what you guys think of our Top 50 Songs of 2011. Regardless, these are ours, so we’re not changing, but I think there’s tons of hits on this list. Follow the jump for list. Well as most of you who stayed up late last night already know, the entire Austin City Limits Festival lineup leaked last night around midnight. I’m sure some of you will love it and some of you will hate it, but I have no doubt that we’ll still be seeing many of you there regardless. As always, the middle part of the lineup with acts like The Vaccines, The Walkmen, Secret Cities, Broken Social Scene, etc. are what make this festival continuously great. 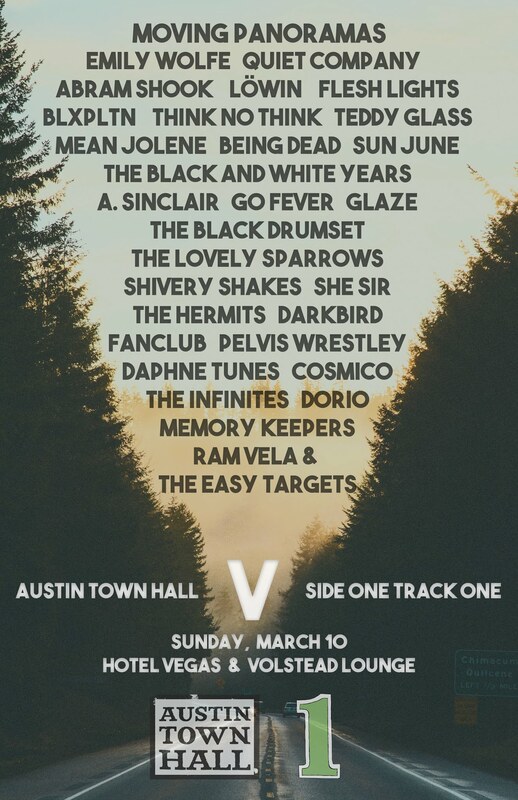 For you out of towners, you’ll also get some big names that stopped into Austin recently and made a lasting impression like Arcade Fire, Fleet Foxes, Twin Shadow, Cut Copy, etc. Have I really been going to this thing for 10 years!? Full lineup can be seen over on the ACL website. Let the whining and cheering begin. A few years ago, we had a huge debate about which Austin festival was the best, Austin City Limits or SXSW. In the interim, other great festivals have gained status in our world, such as the incredible Fun Fun Fun Fest, and although SXSW was our favorite then, I’m just not so sure. Looking back, I should have seen this coming; I should have known that the hey-day of SXSW was slowly in decline. Now, I’m not saying that I’m ungrateful that so many incredible bands flock to Austin once a year, but rather I’m pointing out a few things that, to me, demonstrate just how far things have spun out of control in recent years. Take note that this is just one man’s opinion, and not necessarily the opinion of Austin Town Hall. And, in all likelihood, you’ll probably still see me out about town in my Killin Time Til Dave hat, I just won’t be too happy about it!